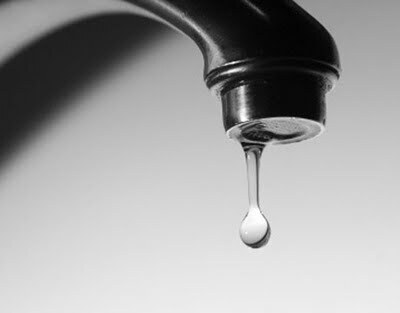 This past weekend our water pressure was extremely low, coming out in a slow trickle. A call to the leasing office revealed that this would be an issue for the next 3 to 24 hours. I wanted to make breakfast and reluctantly took the dirty pan off of the stove to wash. I placed it under the faucet, the water dripping painstakingly slow. After ten seconds, a small pool of water formed. It was just enough to wet the sponge and wash the pan. I turned the water on again to wash the soap out of the pan. It ended up not taking too much longer to wash the pan with the drips compared to when I had a stronger stream of water. And I conserved water in the process. Each individual drop of water mattered in washing the pan, something I took for granted when I had the normal stream of water. This is so much like life. We take one breath at a time. One step at a time. One thought at a time. Each one matters, culminating together to make up the rich tapestry of our lives. Don’t take the trickle for granted. Those small drops are creating something spectacular. Remember that the slow trickle of resources, money, inspiration, or anything else, has a source. That source is a rushing river that never ends. That trickle is a reminder of that source. In life we sometimes have to follow that trickle until we find the river. That trickle was enough to clean my pot and a reminder that every little bit of what I am doing right now is creating the life that I want. Never stop believing that each individual step you take matters. All of those steps will turn into many miles covered and dreams realized. Thank you for reading! Grateful that it resonated with you.